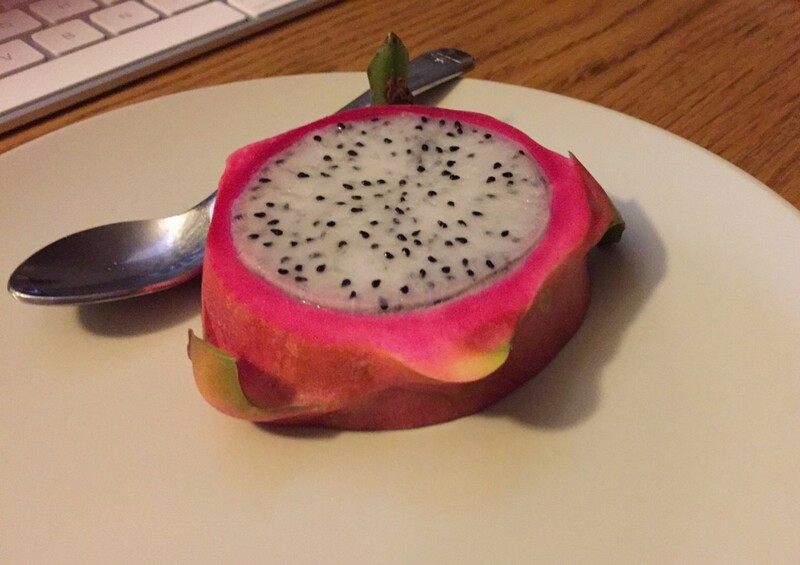 Dragonfruit is a real thing. I wonder why I’m eating it. Tastes like looks, cross between a kiwi fruit and crocodile steaks. Looks cool but wasn’t a fan myself!